As part of the Arcadia Association of Realtors’ Relay for Life fundraising efforts, we are selling tickets to a “Relay for Laffs”. The tickets are $15 and $11 of those dollars go to support the American Cancer Society. 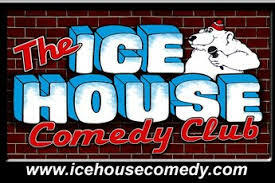 The show is this Saturday on 7/26 at the Ice House in Pasadena at 6 p.m. Please contact Leslie at 626/975-4010 or leslie@silva-villa.com, if you would like tickets or more information. Thank you for your support!